Brewing the ideal batch of coffee is a simple process using any of our urns. First it is important to make sure you are brewing into an empty liner as well as making sure that the brew tank temperature is in the ideal temperature range. From there, you’ll want to take your urn coffee filter and make sure it is securely placed in the brew basket. Then, taking your pre-ground, pre-measured coffee, you’re going to pour it completely into the liner. And then make sure that the coffee is nice and level within the liner. Then you’ll take the lid, and put it back into position. Then take the rotating spray arm, locking it into position, ensuring that you are using the correct batch size. We are going to brew a full batch of coffee, and press the start button. In five minutes, we are going to have the ideal batch of coffee. As you can see, our brewing process is now complete; we are ready to serve the coffee. 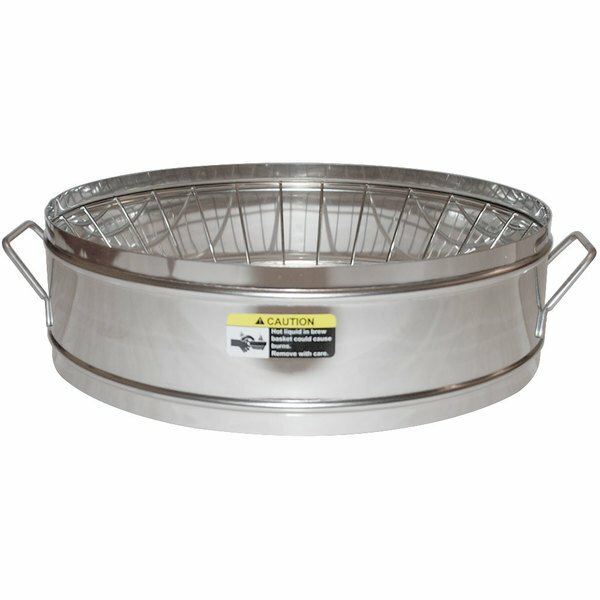 Our midline series urns are equipped with a manual agitation system. By introducing air into the liner, you are keeping the coffee suspended. Once your brewing process is complete, it is recommended that you turn the temperature to the brew holding position, which maintains the ideal holding temperature of 185 degrees. Critics agree that brewing in a coffee urn produces the best cup of coffee. 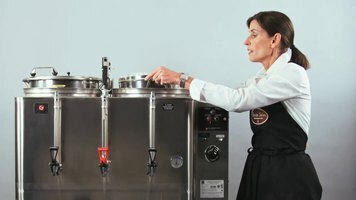 To learn more about Grindmaster’s complete line of products, including coffee urns, please contact your local Grindmaster sales representative today, or visit our website at www.grindmaster.com. This video gives a demonstration of how to use Grindmaster-Cecilware's urns to easily brew coffee. Brew high volumes of your premium blend with this Grindmaster ABB3 brew basket! Designed for Grindmaster 3 gallon coffee urns, this brew basket allows you to make enough coffee for the whole office or for the morning rush at your restaurant, coffee shop, or diner. It also comes with convenient side handles for easy transportation. 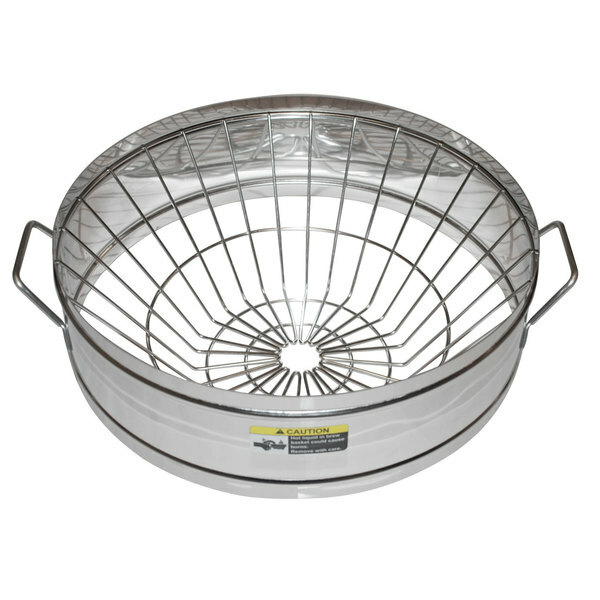 Whether the one on your machine is broken or you just want to keep another on hand, this is the perfect replacement basket for your Grindmaster coffee urn.